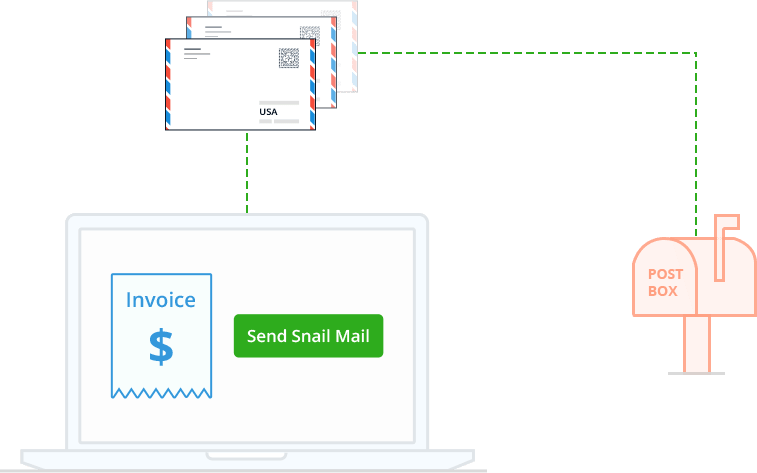 Invoice Software that lets you send professional invoices, automate payment reminders, and accept card payments online, faster than ever! Choose a template from our gallery and give it a personal touch. Zoho Invoice lets you carefully craft your invoices to fit your brand. Zoho Invoice professionally prints your invoices, seals them in envelopes and mails them to your customers for you. 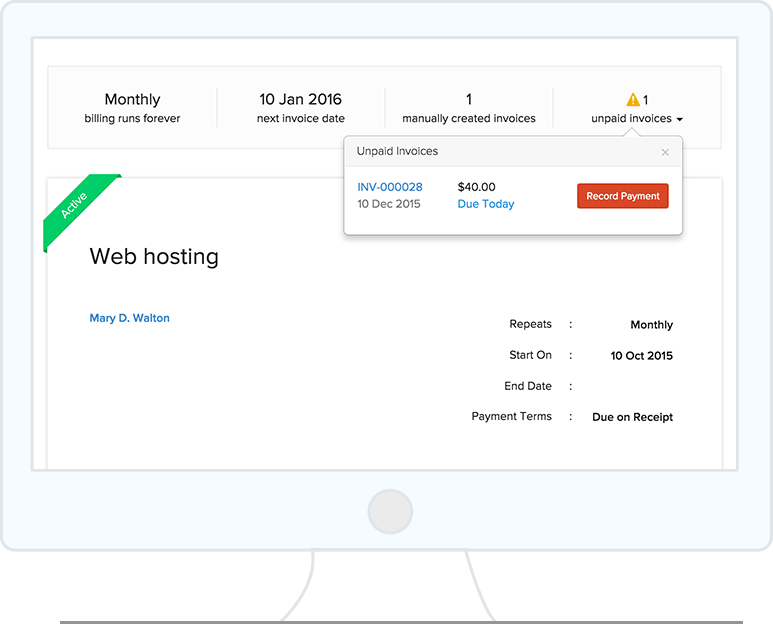 Set up a recurring billing profile, bill and charge your customers automatically. Create clones, print out a copy, or simply share invoice over email with your team and collaborate better. 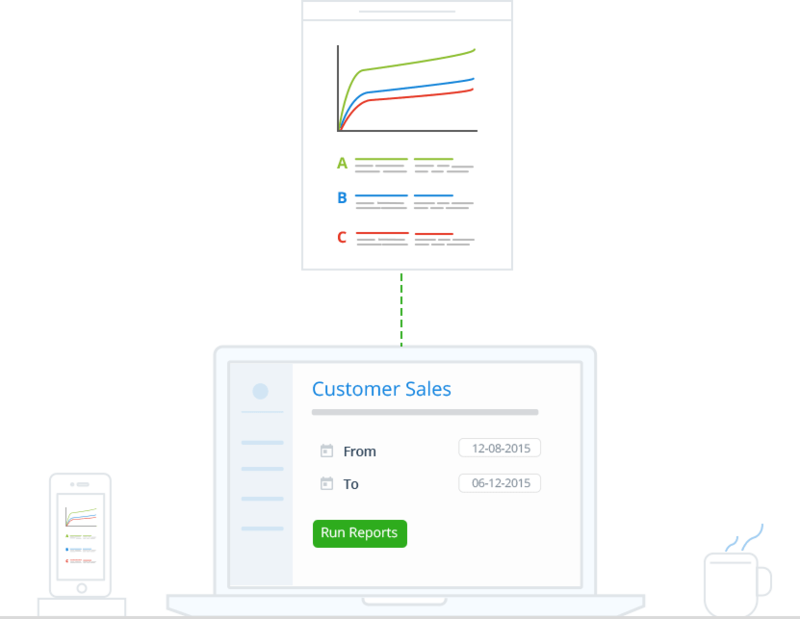 Run real-time reports on your sales, expenses and tax summary. You can also schedule key reports and receive them automatically by email. I travel a lot for work. Can I create and send invoices while on the go? Zoho Invoice supports mobile apps for iOS, Android and Windows, letting you create and send invoices wherever you go. How can I verify and approve the invoices created by my employees? The transaction approval feature of Zoho Invoice lets you verify and approve the invoices created by your employees, before sending the invoices to your customers. You can enable transaction approval for sales transactions, under settings and start verifying transactions right away. 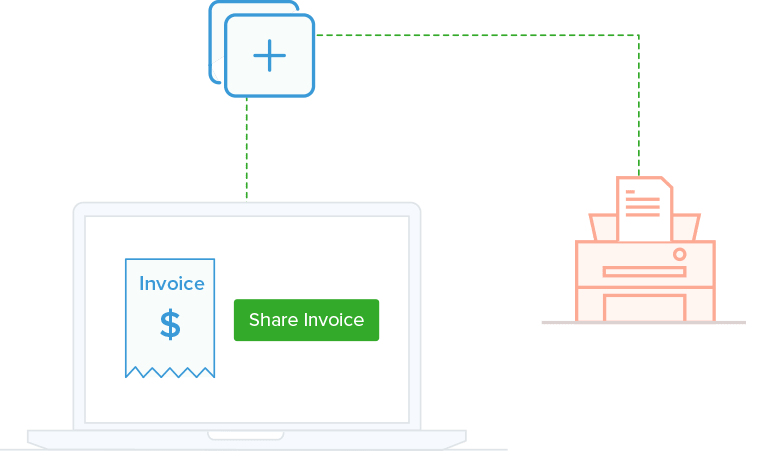 Can I access Zoho Invoice on my Mac? 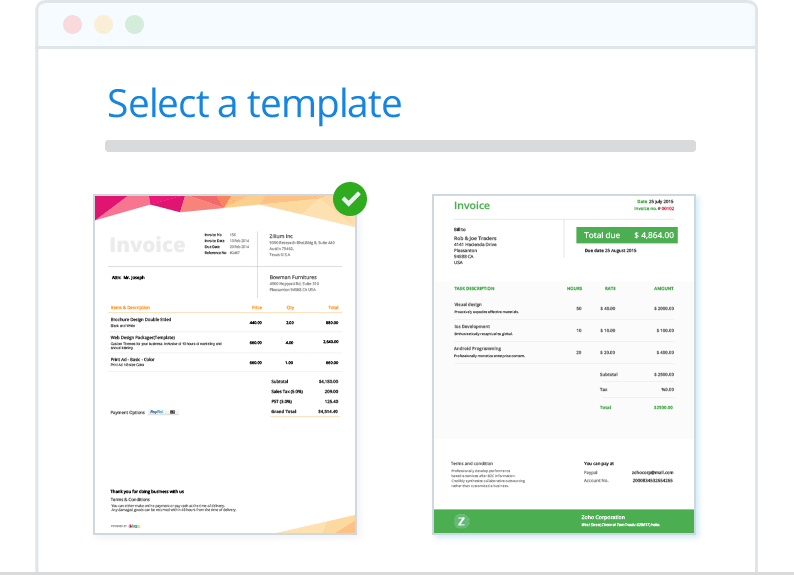 Zoho Invoice is compatible and works well with Mac. I give discounts at invoice level. 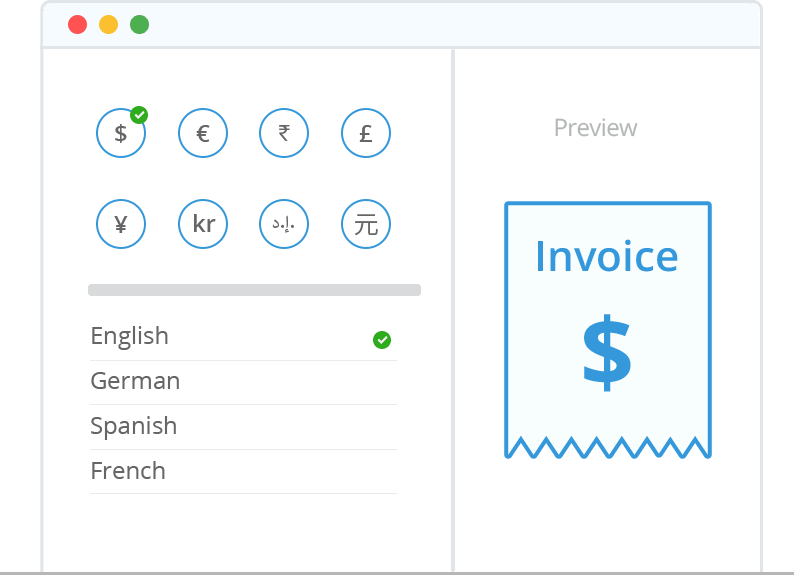 How do I do that in Zoho Invoice? With Zoho Invoice, you have the option to give discounts at item level or invoice level depending on your requirement. You can enable this option under Settings. You can also capture your shipping charges in your invoice.